Today’s post is brought with help from my good friend Jan Höglund who is a great person to follow on Twitter. Jan regularly tweets extracts from the books he is reading, and this week he has been reading One from Many: VISA and the Rise of Chaordic Organization by Dee Hock, the founder and creator of VISA. I started with the quote from Bateson because Hock as a young adult was an avid reader of the latest thinking in biology, chaos and complexity theory. In this sense he was way ahead of his time in contemplating what this nascent science could teach those in business. 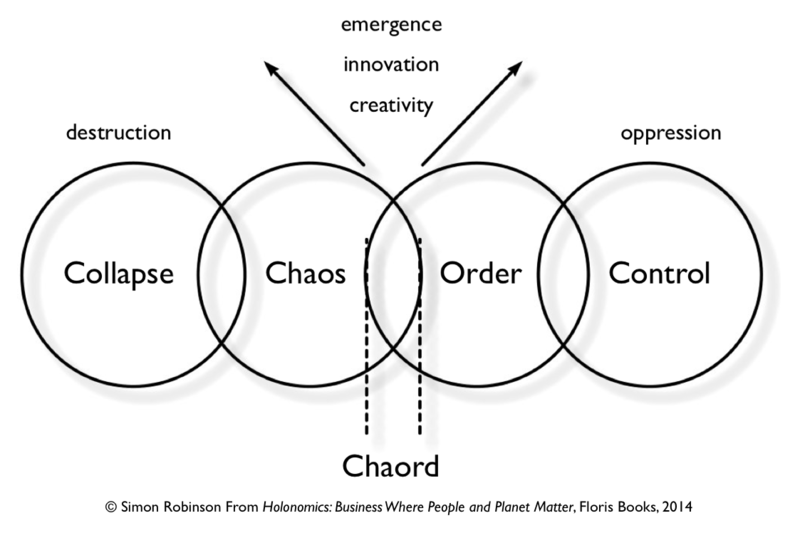 He created the term “chaord” which referred to a type of organisation existing on the edge of chaos, a system consisting of both chaos and order. I learned a long time ago that listening to what people don’t say is often more important that listening to what they do. Everyone is a born leader…We were all leaders until we were sent to school to be commanded, controlled, and taught to do likewise. The source of that abuse [of human ingenuity] is mechanistic, industrial age, dominator organizations and the management practices they spawn. Without question, the most abundant, least expensive, most underutilized, and constantly abused resource in the world is human ingenuity. In every moment of life, we are simultaneously leading and following. In the deepest sense, distinction between leaders and followers is meaningless. Joy and satisfaction are in the pursuit of an objective, not in its realization. The real power is yours, not theirs. Forget management! Strike the word from your dictionary! It is from failure that…growth…so often come, provided…that one can recognize it, admit it, learn from it, rise above it, and try again. Lead yourself, lead your superiors, lead your peers, employ good people, and free them to do the same. All else is trivia. A true leader cannot be bound to lead. A true follower cannot be bound to follow. Leader presumes follower. Follower presumes choice. One who is coerced…is not a follower in any true sense of the word. 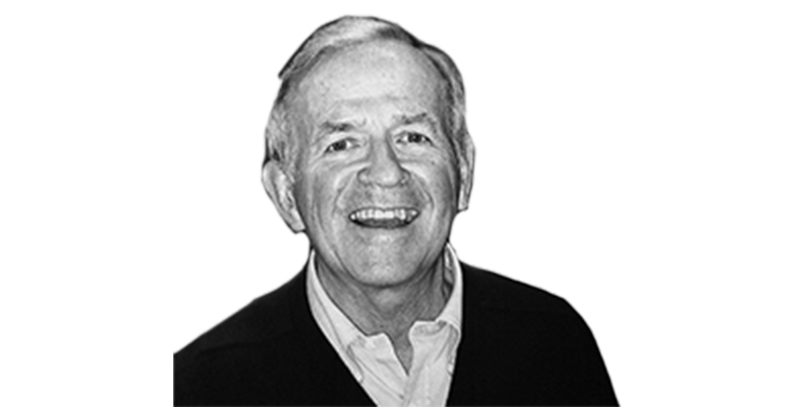 The nature of our organizations…is not only increasingly irrelevant to our enormous…problems, it is a primary cause of them. The highest levels of management in all organizations…are now formed of an interchangeable, cognitive elite with immense self-interest. The industrial age became the age of managers. Just as the machine metaphor was the father of today’s organizational concepts, the industrial age was the mother. In industrial age organizations, purpose slowly erodes into process. There can be no life whatever without balanced cycles of giving and receiving. The essence of community, its very heart and soul, is the nonmonetary exchange of value. The nonmonetary exchange of value is the most effective, constructive system ever devised. Agriculture that destroys soil & poisons water…Unjust judicial systems…Governments that can’t govern…Economies that can’t economize. Today it doesn’t take much thought to realize we’re in the midst of a global epidemic of institutional failure. It need not have been so in the past. It should not be so now. It cannot be so forever. Tyranny is tyranny no matter how petty, well intended, or cleverly rationalized. At bottom, desire to command & control is a deadly, destructive compulsion to rob self & others of the joys of living. Control requires denial of life. Life is uncertainty, surprise, hate, wonder, speculation, love, joy, pity, pain, mystery, beauty. Language is such clumsy communication compared to that between breeze and bird. I have long chuckled at the absurd notion that mind, body, and spirit are separate things, like cogs, cams, and springs of a clock. We are a microcosm of the infinite interconnectedness of all things: at once particulate & whole, self & not-self. I feel compelled to open my life to new possibilities. Business, power, and money are not what your life is about. We live in an era of massive institutional failure. It’s no failure to fall short of realizing all that we might dream: The failure is to fall short of dreaming all that we might realize. No one is without influence. Everyone has choices to make about where they will lead and where they will be led. If you are unwilling to examine…how you were, how you are, how you might become, and how you ought to be, u are making a grave mistake. Once one is accustomed to a chaordic way of thinking, consciousness changes. It has been my belief that, in the deepest sense, one can never own anything until it is given up, freely, completely, without regret. The world was marveling at Visa’s success. To me, its flaws were all too apparent. Well, so be it. It is from failure that most growth comes, provided that one can recognize it, admit it, learn from it, rise above it, and try again. At the time, I did not understand the depth of the hold that mechanistic, dominator concepts had on the minds and hearts of people. We were extremely good at some things, we were very good at many things, but we were not good at everything. They could do anything! …And so can everyone…if our minds are open enough, our hearts warm enough, and our spirits strong enough. Mutual respect and trust is the strongest bond among people, and can be relied upon. How could you treat people…as though they were no more than “human resources?” You couldn’t and we didn’t. In organizations of the future, it will be much more important to have a clear sense of purpose. Mind-crafting [will] give rise to new, more chaordic concepts of organisation. In organizations of the future it will be necessary to have people…capable of discernment, of making fine judgments and acting sensibly. Organizations have too long aped the traditional mechanistic, military model wherein obedience to orders is paramount. Plans often lead to futile attempts to control events to make them fit the plan. Most organizations will evolve, however…painfully, into a form in which power…and information are more widely dispersed and commonly shared. Software…can be best understood as “thought-ware” since it is clearly a product of the mind. People must come to things in their own time, in their own way, for their own reasons, or they never truly come at all. Rarely was there clear right and wrong. There were only differing perspectives and perceptions. They had not thought of winning or losing, but of a larger sense of purpose. I had a lifelong habit of backing away from difficult situations and approaching them in a playful, unorthodox way. One must act on conviction & principle, openly & honestly, trusting that constructive events will emerge. Changing an internal model of reality is extremely difficult, often terrifying… It requires a meticulous, painful examination of beliefs. Carefully keep track of every thought & every expression you have or hear that is based on the machine metaphor. Deep in most of us…indelibly implanted there by 3 centuries of the industrial age, is the mechanistic…machine model of reality. All our acts, experience, learning, and decisions are an inseparable flow of larger wholes. No one articulated what was happening. No one recorded it. No one measured it. But everyone felt it, understood it, and loved it. The people gave of themselves without expectation and received in ways beyond calculation. Individuality, self-worth, ingenuity and creativity flourished; and so did the sense of belonging to something larger than self. Leaders spontaneously emerged & reemerged, none in control, but all in order. Ingenuity exploded. … Position became meaningless. Everyone, any time, could see how the whole depended on their work, and how their work was connected to every other part of the effort. Swiftly, self-organization emerged. An entire wall became a pin board with every remaining day calendared across the top. Everyone, any time, could see how the whole depended on their work, & how their work was connected to every other part of the effort. Some lessons must be learned over and over again before they sink to the bone. Well, trust is not negotiable. One either trusts or one does not. I prefer trust. We have no precise plan, only a clear sense of direction. Jan Höglund has over 25 years of experience in software development. Jan publishes on both his personal blog (in both Swedish and English) and also on Twitter @janhoglund, inspirational articles and quotes from authors he has been reading. Jan is “In search of more life-giving ways of working” with interests covering Agile software development, Sociocracy, Large Group Methods, Visual Facilitation, Self-organization and Presencing. Wow – powerful words indeed, thank you, and Jan, for sharing them.